The reason I actually enjoy these poems is because it honestly does challenge me. 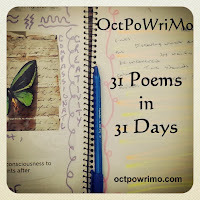 But I really enjoyed today's prompt- so much that I wrote two poems!! We put on this make up to create a mask of our outer-self. Why can't I be proud of myself? that's something, to describe- I don't know where to begin. There are those say what they say. Then there's me, I say what I may and try to be who I want to be. but you see right through. I just want to be here for you to hold. So I no longer want to hide.